Come on man. Sometimes I want that soft bread experience. Don’t look at me like that. Here. I bought some Pop Tarts. Your favorite flavor! The whole box is for you. Knock yourself out. 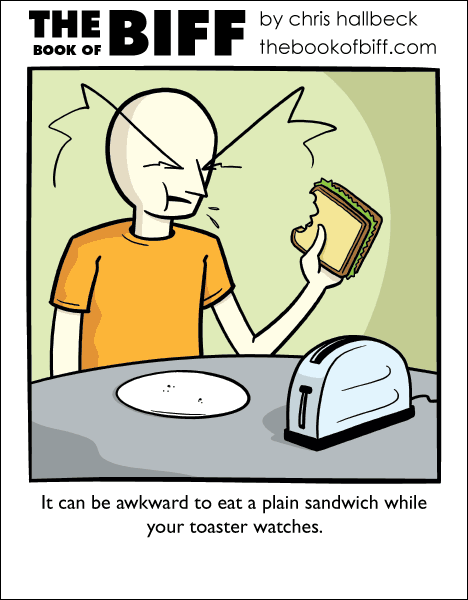 I imagine the toaster making that noise (you know, the toaster noise) constantly while eating the Pop Tarts.